Obvious Corporation, the new endeavor of Twitter founders Biz Stone, Evan Williams and Jason Goldman, has today announced its first project. It’s called Lift and it’s a partnership with developers Tony Stubblebine of Crowdvine, Jon Crosby of Path and designer Connor Montgomery. Stone says that Obvious will have a stake in Lift as an investor, but will also help with strategy, design, funding and recruiting. 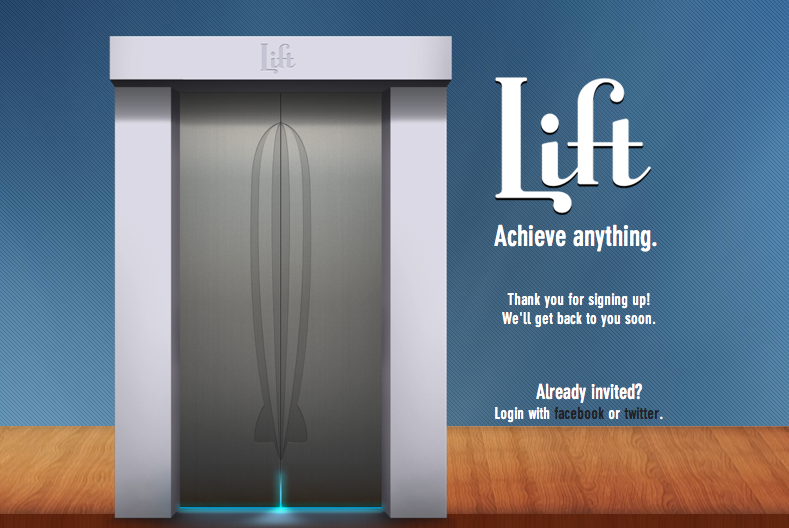 From what it sounds like it appears as if Lift is a productivity application intended to aid in personal focus, although details are slim at the moment. You can sign up for announcements and the private alpha of Lift at Lift.do.